In addition to MrSpeakers award-winning ETHER and ETHER C headphones, we would like to introduce ETHER Flow and ETHER C Flow with TrueFlow technology. MrSpeakers set three goals when they started the ETHER project: sound excellent, be more comfortable than our existing headphones, and have a timeless design. The result? 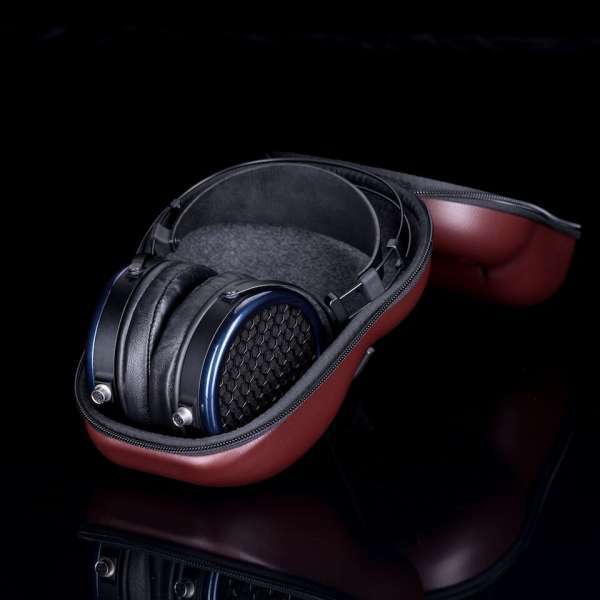 The ground-breaking ETHER Flow headphones. Many long nights went into creating a very detailed yet natural and organic sound. ETHER Flow headphones are not about having the best bass, mids, or highs, they are about delivering a convincing experience. When you hear live music do you say wow what highs or do you say Wow what beautiful vibrato? Technology. At the heart of the ETHER Flow headphones is our V-Planar(tm) driver and TrueFlow wave guide technologies. V-Planar technology pleats the driver surface so as to reduce distortion, improve transient response, and extend the frequency range. 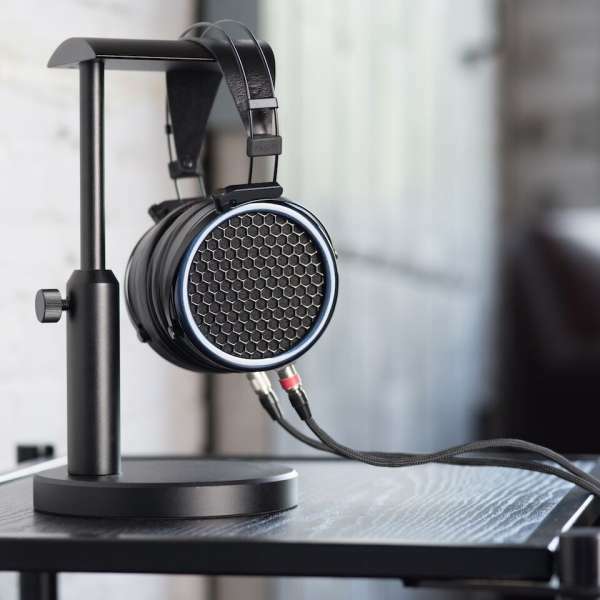 MrSpeakers new ETHER Flow headphones feature TrueFlow technology which smooths the path for air moving into, through, and out of the magnet structure for greatly reduced distortion and improved dynamics. ETHER headphones are known for their light weight and comfortable clamp, and have a nearly ideal weight distribution, so they can be worn for hours without fatigue. ETHER headphones will not move around on your head with normal usage, but neither will they leave your jaw and ears aching due to clamping force. 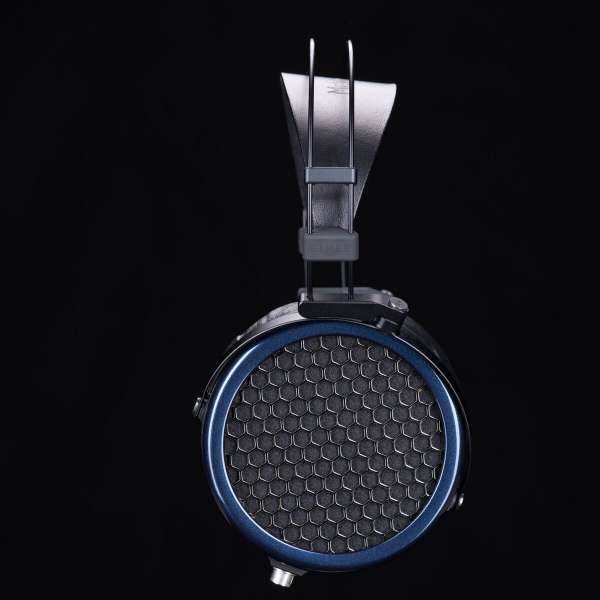 ETHER is almost entirely metal for durability and sound quality yet its extremely light and comfortable. The MrSpeakers team worked overtime to cut weight without sacrificing performance. One solution we found is an industry-first: a NiTinol memory metal headband that is super-light and ultra-cool. It delivers just the right level of clamp to keep the phones in place and sealed on most heads, yet it's remarkably tough and reliable. With it's light weight, comfortable fit and supple lamb-leather ear pads ETHER's may be worn for long sessions without fatigue. Why name the headphone ETHER? the century physics had no concept of hard vacuum filling to the vast reaches of space. ETHER was an imaginary substance that filled the voids between the stars. Since a lot of what makes ETHER fun is the sense of space and the deep quiet between the notes, and ETHER was a bit magical it seemed like a nice name. Designed, built and tested in San Diego, CA, Ether Flow Open is offered with a 2 year warranty for parts and labour.